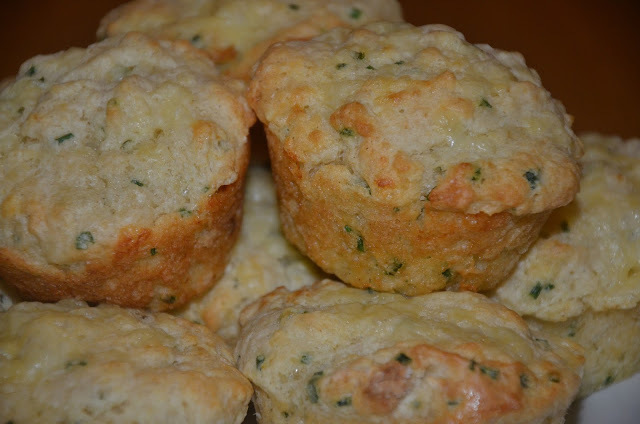 Baking is a science and there are certain rules that apply, so having a good knowledge of those rules or following the recipe written by someone else with that knowledge is necessary to get the desired results. Measurements, ingredients and chemical reactions all play a vital part in the creation of a delicious baked good, which is why you can't be willy nilly with baking. Even if you're careful, sometimes things just don't work out... That's the nature and excitement of baking. Waiting for the results can be thrilling, not knowing if your creation will turn out right, but looking forward to sampling the final product all the same. I often hear people say things like "I can't cook!" or "I am terrible at baking!" but I suspect that anyone who puts their mind to it, with the right direction and influence, could learn to cook or bake if they wanted to and with less effort than they would probably expect. That's not to say that anyone can be the next celebrity chef or even a really good cook, but it's possible to get a few recipes under your belt that you can come back to time and again... I suspect that's how everyone starts out with learning to cook well. You learn one recipe and try it a few times, then branch out to a second and get good at that one too... Before you know it, you're a wealth of kitchen knowledge and rather handy in the kitchen come dinnertime. I always knew how to cook a few things... I could fry bacon & eggs and make the odd pasta dish with a bottled sauce. My other go-to for dinner was marinated baked chicken with mashed potatoes and green beans, but when I really start to learn cooking properly, I started with a book. I wasn't a child or even a student... I was in my late 20's on an island in the Caribbean with no fancy grocery stores or gourmet shops to speak of - we couldn't even order from Amazon, so you can imagine the potential limitations where ingredients are concerned. One good cookbook in the beginning is all you need to get going and my first was the Better Homes and Gardens Cookbook, a book I still have and have seen on the bookshelves of every woman I know back home in Kentucky, hence why I chose it. 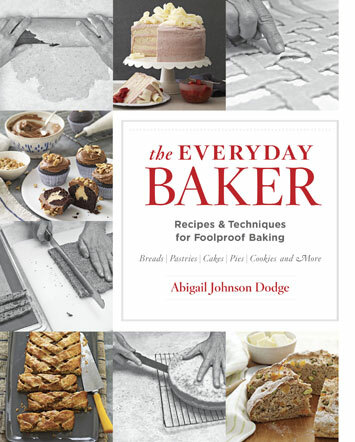 Anyone who's new to baking or even an old pro who wants some new recipes and a brushing up can also benefit from a dedicated baking book like The Everyday Baker. A book that explains all the principles of baking, helps you to build up a good supply of necessary equipment and provides recipes with step-by-step instructions and photos is really helpful in learning to bake or improving the skills you already have. How many times have you looked at a recipe that called for light brown sugar and thought it would be fine to use dark brown sugar instead? Chances are it was fine, but do you know the difference between the two? Are you confident that you know how to measure flour correctly? Do you know the difference between single and double baking powder? Are you clear on what steps in a recipe you can do in advance and which ones need to be completed just before serving? These are the types of questions that are so brilliantly answered in The Everyday Baker. Alongside the 200 wonderful recipes in The Everyday Baker, there are 200 step-by-step techniques that every home cook will find useful. This should not be mistaken for a cake book because it's so much more than that... Savory recipes and even a chapter called Morning Food featuring baked breakfast goods, prove that baking isn't just for birthday cakes & brownies. With tips, tricks and advice throughout, the author encourages the cook to act as though she's right there in the kitchen with you, helping you prepare something wonderful. Another great feature of the book that I loved are the flavor variations, giving you a bit of choice and the chance to get creative. Whether it's your first cookbook, or one of many, I definitely recommend The Everyday Baker as a solid reference and a source of recipes you'll want to bake for family, friends or even just yourself time and again. The Everyday Baker retails for £30 and is available online from GMC Publications.